100% natural product used to assist the treatment and prevention of Mud Fever. MudDoc contains over 10 essential oils ( including Aloe Vera, Lavender, Eucalyptus and Tea Tree) that work together to heal, soothe and disinfect the problem area. These essential oils are collectively antiseptic, promote healing and may provide some pain relief. MudDoc is deeply moisturising, which encourages good quality healing and reduces the formation of scar tissue, allowing the hair to grow back faster. The leg should be clean and dry. Washing with an antibacterial shampoo, like Cavalor Hygenic Wash, is a good idea. If clipping is required to expose the problem area, please wait 24hrs before applying MudDoc, as the skin is likely to be very sensitive. 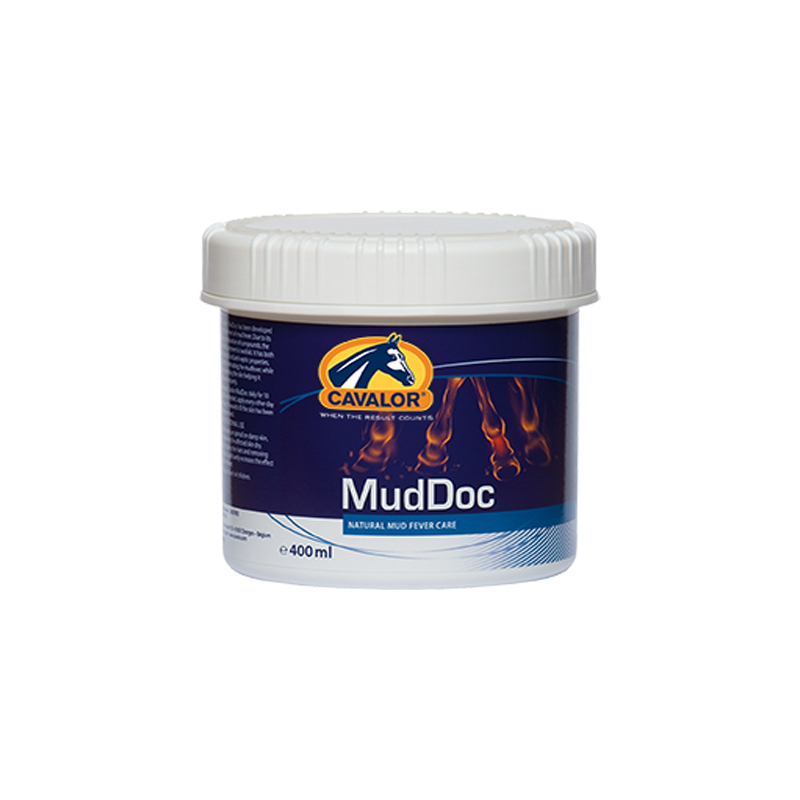 Do not remove scabs deliberately before applying MudDoc as this will sensitise the skin.